Use this unique time management help subliminal album to improve your time management skills, and probably change your entire life! Are you regularly late for your appointments or completing your tasks? Do you find yourself constantly rushing from one appointment to another? Do you constantly fall behind in tasks and have to work extra hard to catch up, and feel that you have no more energy to accomplish everything? Would you like to be more in control of your time so that you can manage your different tasks with ease - and even get some time for yourself? Some people seem to have a natural ability to organize their time and to prioritize their tasks - they are always on time, they always get things done, and they are perceived as reliable. Their main advantage is that their lives aren't a mess, and it shows. They're rarely stressed out, and they have time for everything. These people have mastered the skill of effectively managing their time and prioritizing the tasks, in their personal and professional life. A simple thing: the way their mind works. It's wired in a certain way that makes them fully conscious of everything they have to do, the results they'll have when they accomplish their tasks and the best ways to organize them. That makes them much less likely to procrastinate and to fall behind with their work. Become more focused on the time. Instead of delaying the tasks and procrastinating, you will notice that you're more aware of the way your activities (and their delaying) influence your time. You will become more conscious of time-eaters and you will get a strong desire to use every moment to the fullest. Get more time to yourself and the activities you enjoy. As you understand the importance of organizing and accomplishing your tasks, you will be naturally driven to finish them on time, making room in your life for the activities that relax you and bring you joy. You will gradually become free from stress and anxiety thanks to the feeling that you have accomplished everything you've planned, and that all the important tasks are done. Become someone who is reliable and capable in the eyes of others. Well organized people make others feel like they can count on them when it matters, and they send the vibe that reassures others that everything will be OK. Acquiring this mindset can easily bring you more chances of a promotion at work, or better business deals, because everyone will rather work with someone who is on top of things. You will get things done on time. You will get ready on time. You will make meetings on time. You will arrive to dinner, to parties, and social events on time. Does this sound like an improvement you want to make in your life? 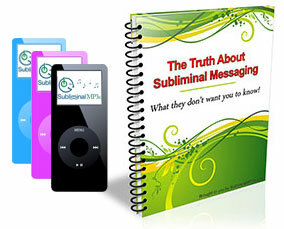 Get started today with this powerful subliminal download and gain respect, credibility, and success in life as a result of your new great time management skills!